The Bronx Documentary Center welcomes Getty Images special correspondent John Moore for the launch of his new book, Undocumented. Since 2010 Moore has been laser-focused on the issue of immigration to the United States. 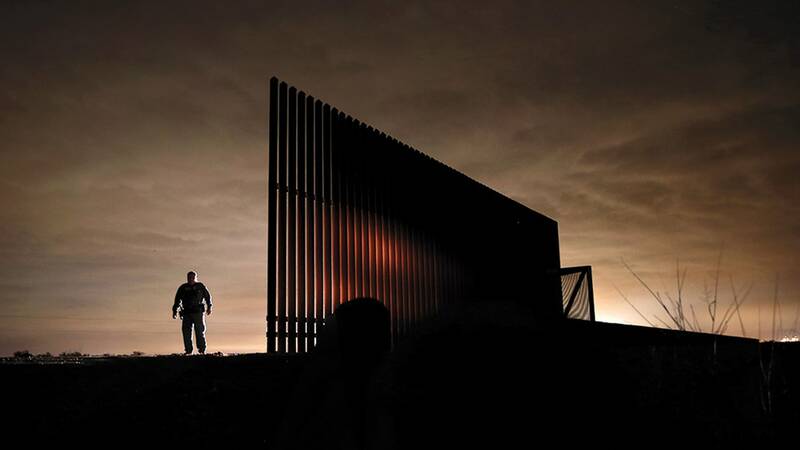 Moore’s exclusive access to immigrants on all points of their journey, ICE agents, Border Patrol agents, the USCIS and dozens of NGOs here and abroad sets his photographs apart from all other work on the controversial subject. Join us for this event where Moore will show images and discuss what he learned working on this decade long project. El Bronx Documentary Center le da la bienvenida al corresponsal especial de Getty Images, John Moore, para el lanzamiento de su nuevo libro, Undocumented. Desde 2010, Moore se ha concentrado en el tema de la inmigración a los Estados Unidos. Su acceso exclusivo a inmigrantes, agentes de ICE, agentes de la patrulla fronteriza, el USCIS y docenas de ONG aquí y al extranjero diferencian sus fotos a los otros trabajos fotográficos sobre este tema pertinente. Ven a este evento durante el cual Moore mostrará imágenes y analizará lo que aprendió trabajando en este proyecto durante una década. JOHN MOORE is a senior staff photographer and special correspondent for Getty Images. He has photographed in 65 countries on six continents and was posted internationally for 17 years, first to Nicaragua, then India, South Africa, Mexico, Egypt and Pakistan. He returned to the U.S. a decade ago and has focused on immigration and border security issues. Moore has won top awards throughout his career, including the 2005 Pulitzer Prize for Breaking News Photography, World Press Photo honors, the John Faber Award and the Robert Capa Gold Medal from the Overseas Press Club, Photographer of the Year from Pictures of the Year International, the NPPA and Sony World Photography Organization. Moore is a graduate of the University of Texas at Austin, where he studied Radio-Television-Film. He lives with his family in Stamford Connecticut. JOHN MOORE es fotógrafo principal y Corresponsal Especial de Getty Images. Ha fotografiado en 65 países en seis continentes y estuvo basado durante 17 años en el extranjero, primero en Nicaragua, luego en India, Sudáfrica, México, Egipto y Pakistán. Regresó a los Estados Unidos hace una década y se enfocó a cubrir temas de inmigración y seguridad fronteriza. Moore ha ganado importantes premios de fotografía a lo largo de su carrera, incluidos el Premio Pulitzer del 2005 por Breaking News Photography, honores de World Press Photo, el Premio John Faber y la Medalla de Oro Robert Capa del Overseas Press Club, Fotógrafo del Año de Pictures of the Year International, del NPPA y de Sony World Photography Organization. Moore se graduó de la Universidad de Texas en Austin, donde estudió Radio-Televisión- Cine. Él vive con su familia en Stamford Connecticut. Our venue is on the ground floor and is wheelchair accessible. The bathroom is non gender-segregated. For further information call 718-993-3512 or email olivia@bronxdoc.org.